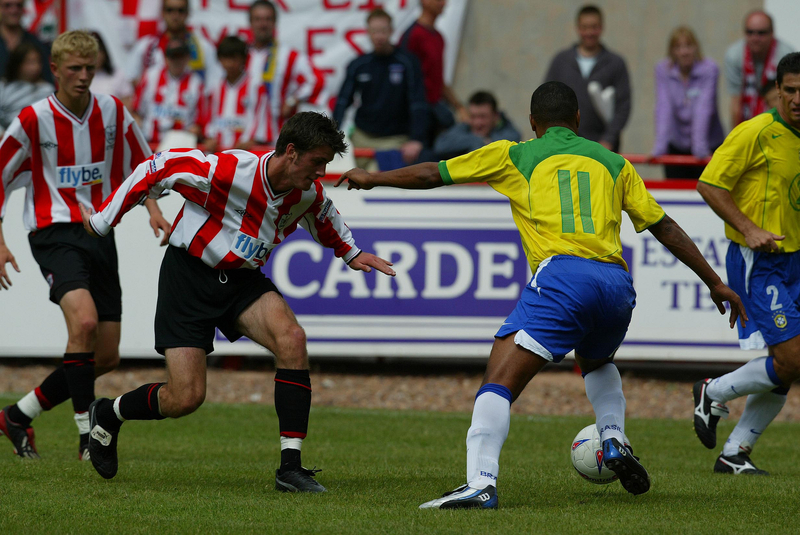 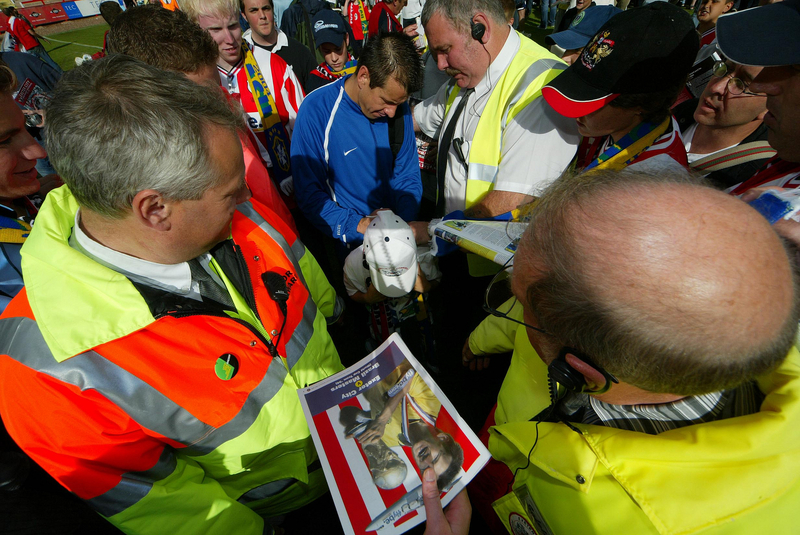 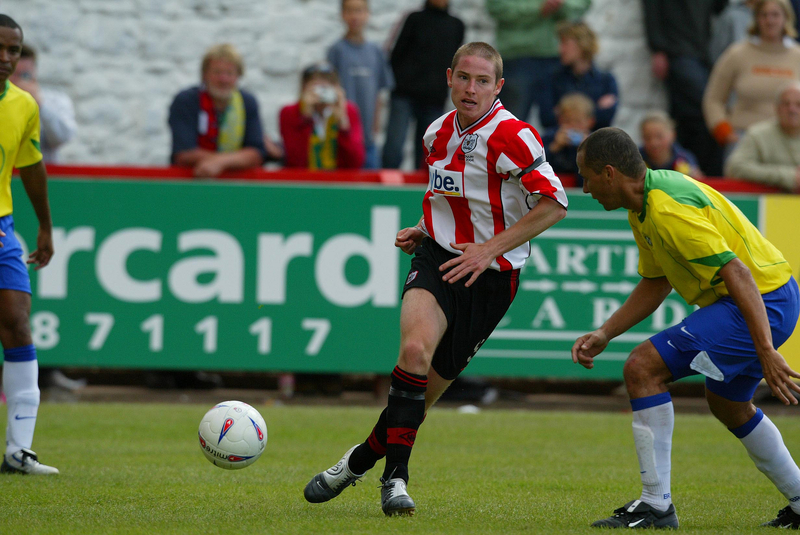 On the 30th May 2004, Exeter City Football Club marked their centenary with a match against the Brazilian Masters at St James Park. 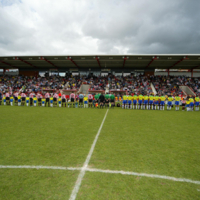 The occasion also marked the 90th anniversary of Exeter’s trip to Brazil, where the Seleção lined up against the Grecians in what is recognised as the first match in the country’s long and successful football history. 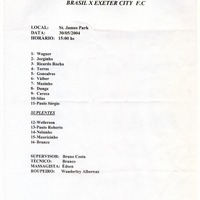 In acknowledgement and respect to Exeter’s role in their footballing heritage, the Brazilians were honoured to mark the anniversaries of each side with a belated return trip to Devon. 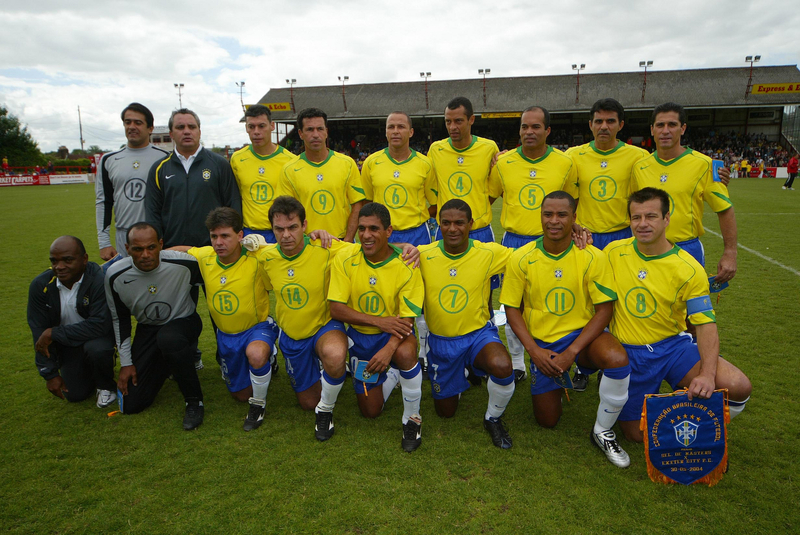 The team was managed by former Fluminense, Inter Milan and Middlesborough defender Branco and contained a number of players, including Captain Dunga, who had lifted the World Cup just ten years earlier in America. 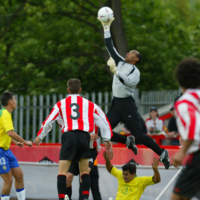 On that day Brazil defeated Italy on penalties to win their fourth World Cup trophy, and in a twist of irony it was a penalty that decided the game at St James. 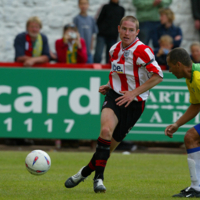 Just before half time, Chris Todd was adjudged to have brought down Silas in the box, and Careca duly dispatched the resulting spot kick past the stretch of keeper Martin Rice. 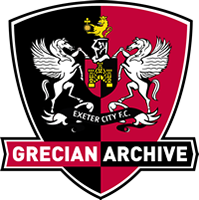 The game was played to a good standard by both sides and certainly provided the Grecians with the kind of footballing lesson that is hard to find in the lower tiers of English Football. 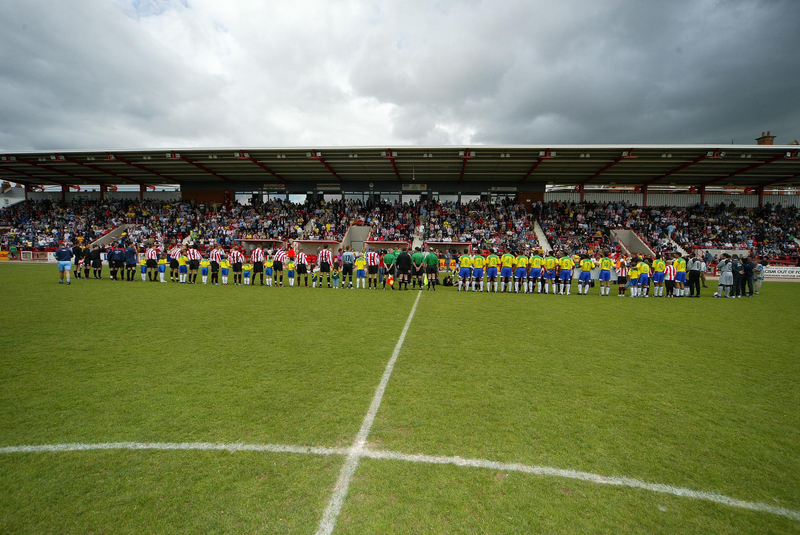 On a vibrant day at the park, 6000 people were treated to an afternoon of Samba style both on and off the pitch, which ranged from dancing displays by a large troupe of Brazilian dancers to a scissor kick from Captain Glenn Cronin which narrowly missed the target. 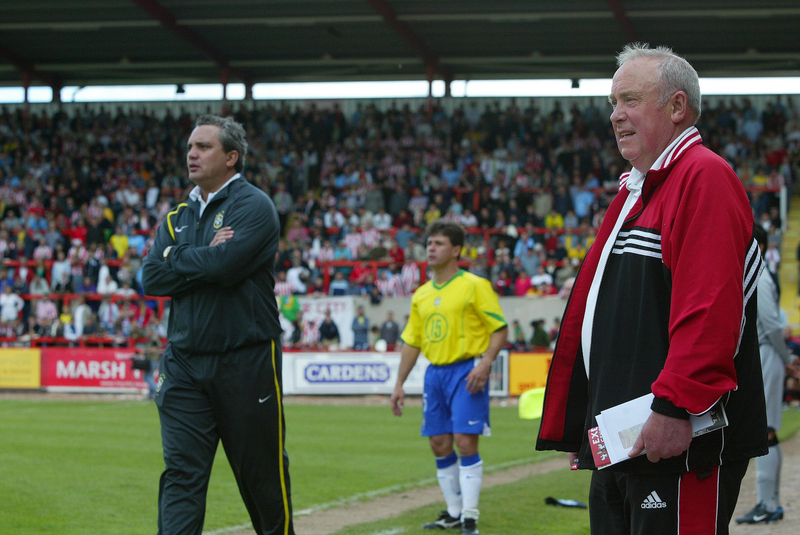 Glenn, who swapped shirts with Dunga after the game, later stated that ‘They Just kept the ball for fun, showed us how to play. 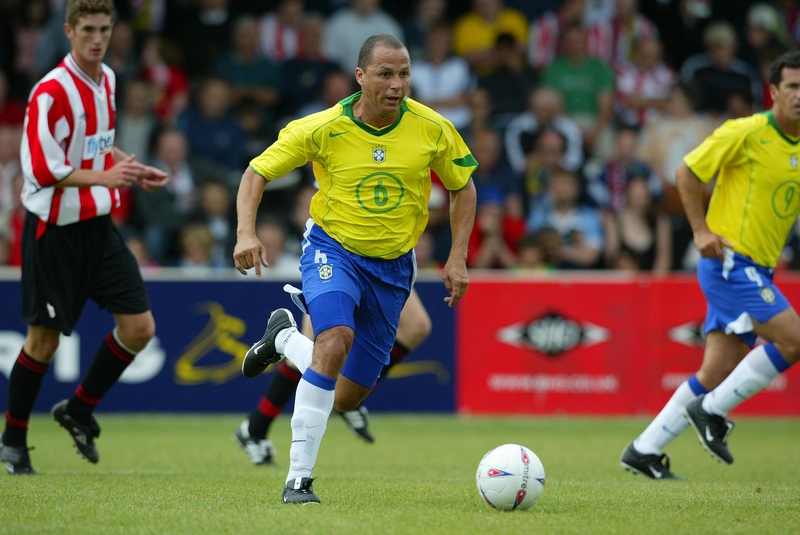 Dunga walked through the whole game. 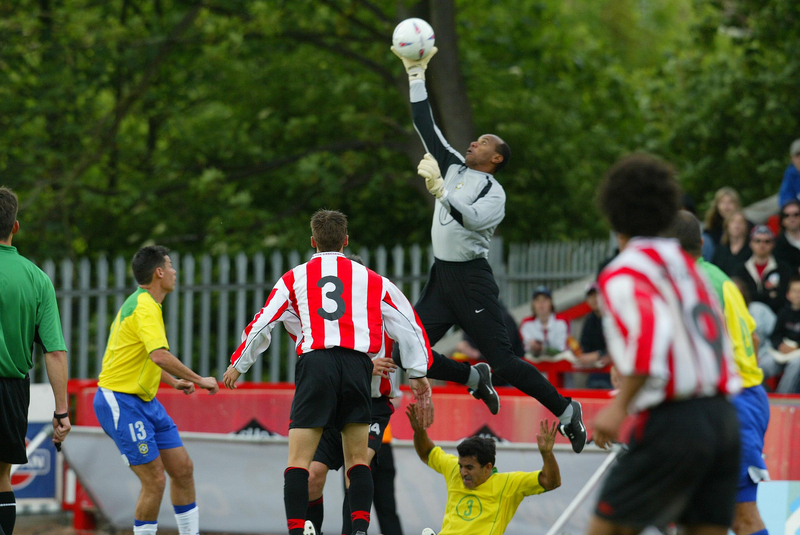 Unbelievable’ (Spencer 2009, 13). 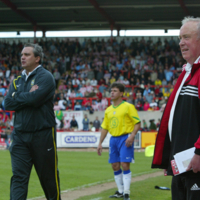 For Exeter the whole occasion marked the end of a difficult period in which they had been relegated from the football league and had been saved by the fans and the football trust. 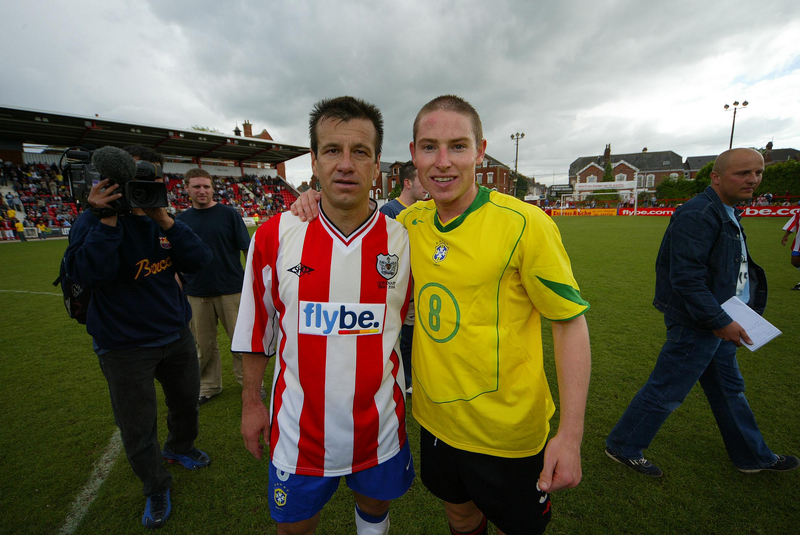 It was a celebration of the Grecians proud history and an event where in the words of Dunga himself…’’Footballs the winner’ (Express and Echo 31/05/2004, 56).